← The UN and the IOC: Beautiful friendship or Liaison Dangereuse? A warning addressed to fans of French teams featuring in the recently launched video game NBA 2K15: Hurry up! The last jump ball for Strasbourg and Nanterre in NBA 2K 15 may occur earlier than expected. The French Labour Union of Basketball (Syndicat National du Basket, SNB) is dissatisfied that Euroleague and 2K Games did not ask (nor paid) for its permission before including the two teams of Pro A in the NBA 2K15 edition. What is at issue? French basketball players’ image rights have been transferred to SNB, which intends to start proceedings before the US Courts against 2K Games requesting 120.000 euros for unauthorized use of the players’ image rights. SNB is clear: it is not about the money, but rather to defend the players’ rights. Strasbourg and Nanterre risk to “warm up” the virtual bench if this litigation goes ahead. The clash between SNB and 2K Games, albeit unprecedented at the European level, should not come as a surprise. The commercialization of athletes’ image rights has become a sine qua non component of sports marketing. The transfer of professional players’ image rights to their clubs or third parties is for some of them more lucrative than their salaries. In the framework of international basketball, this has led to the proliferation of image rights contracts, signed by the players in addition to their employment contracts. While the legal nature of image rights and their unauthorized use by third parties has been recently extensively debated- in the wake of US College Athletes image rights cases before US Courts which will be discussed in the second part of this blog series-, image rights contracts and their enforcement by basketball players before the Basketball Arbitral Tribunal (BAT) are still very much uncharted territories. This blogpost will look at the basketball players’ image rights contracts in a three-pronged approach. First, we will explain how image rights contracts in international basketball serve as tax loopholes by the clubs, which increasingly force players to sign them (I). Thereafter, based on BAT’s case law, we will attempt to build a legal roadmap with regard to the enforcement of image rights contracts by players. In this light, we will examine the relationship between the main contract and the image rights contract as well as the role of the different dispute settlement clauses included in the different contracts when assessing BAT’s jurisdiction (II). Finally, we will analyse the position of the BAT in enforcing image rights contracts and the significant impact of its awards in the basketball world, taking into account the unique features of basketball arbitration (III). I. Image rights contracts in international basketball: Cherchez l’argent! The use of image rights contracts leads to two possible scenarios. In the first one, which is the most common, a player signs an employment contract with a club indicating the player’s remuneration net of all taxes. This initial contract is usually characterized as the “main agreement” or “master agreement”. Thereafter, the club approaches the player with two additional contracts: the league contract which provides for a remarkably lower monthly salary than the main contract; and an image rights contracts, where the player assigns his rights to a third party, an image rights company. The league contract reporting a much lower wage than the wage actually offered to the player is sent to the league and is used for tax purposes. In parallel, the club signs an image rights contract with the image rights company to which the player has previously assigned his intellectual property rights. According to this contract, the company owns the player’s image rights. This means that the player assigns to the club the use of these rights for commercial and promotional purposes. As a result of this assignment, the club undertakes the obligation to pay a specific amount of money per month to the company. Once the club pays the image rights company, the image rights company transfers this amount to the player. In order to understand this quite complex scheme, let’s use a concrete example. A player signs with the club a main contract indicating a remuneration of EUR 300.000. Thereafter, the player signs the league contract indicating a remuneration of EUR 30.000 by the club, while the club signs a contract with an image rights company and undertakes to pay a total amount of EUR 270.000. Finally, the player receives the amount of EUR 270.000 by the image rights company. Thus, it is clear that a combination of the league and the image rights contracts amounts to sum foreseen in the main contract (30.000+270.000=300.000). While this fictitious transfer of money through a third party does not seem to have a practical effect on the player’s remuneration, the split of the main contract into two separate agreements helps the club to tailor its tax obligations. In fact, the club would in principle have had to pay taxes on the full amount of EUR 300.000. Nonetheless, by breaking up the payment into different amounts, the club pays taxes and social contributions for the individual income of EUR 30.000 only. True, the club is also obliged to pay the taxes due on the EUR 270.000 transferred to the image rights company. However, taking into account that the tax rate over intellectual property rights is typically much lower than that concerning individual income, the club gains significant tax benefits. In the second potential scenario, in parallel to the main contract, the player signs a side agreement with the club, which explicitly splits the net compensation into an amount derived from the league contract and an amount derived from the image contract. Subsequently the player enters into an exclusive license agreement with an image rights company to which he assigns the use of his image rights receiving as compensation the amount stipulated in the side agreement. At the same time, the club enters into a sublicense agreement with the image rights company in order to use the player’s image rights, by paying the company the same amount of money that the company then pays to the player under the license agreement. In short, this scheme is a fiction invented by the clubs in order to get significant tax advantages. While this is done pro forma, without any intent of changing the player’s rights and obligations under the main contract, this tax evasion scheme can lead to the club evading also its contractual duties when a club fails to pay the player. In this case, with respect to any outstanding remuneration, can the player enforce the image rights contract against the club in BAT proceedings? An overview of the BAT case law shows that players bring a dispute against their club for outstanding payments on the grounds of a broadly drafted arbitration clause in the main contract, which provides for BAT’s jurisdiction over any dispute arising out of, or in connection with the main contract. However, as is already discussed, a player’s remuneration is often based on a matrix of several contracts – the main contract, the league contract, the image rights contract and/or the license agreement-, which may contain a dispute resolution clause of their own that does not refer to the BAT. Therefore, when a dispute for outstanding payments is brought before the BAT, the arbitrator first has to determine whether the claim made by the player falls within the scope of the BAT arbitration clause included in the main contract. Thus, the arbitrator must consequently determine the relation between the main contract and the other contracts, including the image rights contracts. The difficulty emerges from the fact that the contracts do not define how they should inter-relate. As a result, the BAT has to interpret the contracts and decide whether the subsequent contracts actually supersede the main contract and the applicable BAT arbitration clause or whether they only supplement the main contract. Namely, the clubs, relying on the fact that the image rights contract is signed after the main contract and referring to the legal principle lex posterior derogate legi priori, claim that the dispute settlement provision contained in those contracts override the BAT arbitration clause included in the main contract. In order to decide on its jurisdiction and the underlying relation between the several contracts, the BAT has consistently used a double test based on the common intention of the parties and the wording of the BAT arbitration clause contained in the main contract. At first, the BAT examines whether the main contract includes all the essential elements with regard to the player’s rights remuneration. Then, it elaborates whether these terms reflect the parties’ common intent under the main agreement to guarantee the payment of the full salary to the player, irrespective of any modalities that would be agreed upon in subsequent contracts as to the mode and schedule of payments. If the main contract is seen as containing the common agreement of the parties on the full amount of remuneration, any further agreement referring to the way this payment is organized has only a supplementary function. The second criterion is based on the interpretation of the BAT arbitration clause. The main contract usually contains a broad BAT arbitration provision that covers any dispute arising from the main contract. Once established that the common intent of the parties is to guarantee the salary stipulated in the main contract, the broad terms of the arbitration clause necessarily encompass any dispute relating to the non- payment of any part of the player’s total salary. Once these criteria are fulfilled, the BAT asserts that the outstanding payments deriving from the image rights contracts fall within the scope of the BAT arbitration clause. Furthermore, in some cases, the BAT has introduced other criteria, such as the necessity to establish a link between the contracts. In the 0115/10 case, the BAT established a close link between the main contract and the image rights contract, in a way that the image rights contract could not exist but for the original contract. Interestingly enough, this rather broad interpretation has been inspired by the liberal case law of the Swiss Federal Tribunal, which requires that the interconnection between different contracts be taken into account when examining the substantive validity of an arbitration agreement. It is remarkable that until now, when examining the jurisdictional basis, the BAT has consistently adopted a rather liberal approach by piercing the fictitious veil between the club, the player and the third party when using overlapping contractual constructions. However, on the merits, the BAT’s approach is not totally consistent. In a series of awards, the BAT has found the clubs liable for the breach of the image rights contract and the subsequent outstanding payment of the player. Applying the legal roadmap established above, the BAT has addressed the supplementary role of the subsequent contracts in organizing the payment schedule of the full remuneration of the player provided in the main contract. Indeed, from a contractual point of view, the terms of the main contract are deemed sufficient to entitle the player to claim the entire amount owed to him on the basis of that contract alone. In this sense, the fact that image rights payments have been made via a third party does not free the club from its duty to guarantee the full remuneration of the player. To reinforce this argument, the BAT has even asserted that the only case in which the club would not be found liable for breach of image rights contract would be the case where the image rights contract explicitly provided a waiver of the player’s claims against the club relating to image rights. However, this - until recently- consistent approach has been overturned in the latest BAT award concerning the enforcement of image rights contracts. In that case, the image contract was signed between a company to which the claimant assigned the rights to his promotion and a company managing the image and endorsement rights of the club. Although having confirmed the supplementary role of the image rights contract with regard to the employment contract at hand, the arbitrator chose to deviate from the entrenched interpretation in BAT jurisprudence of the intent of the parties. Namely, the arbitrator interpreted the parties’ behaviour as intending to discharge the club of its obligation to guarantee the full amount of the player’s salary under the main contract. While, in this particular case, the company to which the player assigned his image rights could have been found liable for not transferring the missing amounts to the player, the BAT’s approach is questionable in that it undermined the club’s liability under the main contract. At this point, it should be highlighted that BAT decides all cases ex aequo et bono. In this light, it is the opinion of the author of this blogpost that it would be contrary to general considerations of justice and fairness to consider that the club could take advantage of a tax-optimising structure to no longer guarantee principal amounts contractually due to the player. In other words, it would be unfair to consider that the player has implicitly renounced the guarantees offered to him by the club under the main contract. The system of image rights contracts in international basketball is fragile. Based on the lack of legal certainty in BAT jurisprudence, this blogpost has evidenced the risk that clubs use the BAT to escape their obligations deriving from the image rights contracts. Taking into account that BAT awards are directly enforceable under the New York Convention on the Recognition and Enforcement of Foreign Arbitral Awards, subject only to an appeal on the limited grounds provided in Article 190 Swiss Private International Law Act (PILA), a denial of the BAT to enforce image rights contracts against the clubs leaves the players deprived of any real legal avenue to vindicate their rights. In this sense, a consistent approach of the BAT with regard to the intimate relation existing between the image rights contract and the main employment contract would not only be desirable, but would also be in line with the ex aequo et bono principle. Johan Passave-Ducteil, the president of SNB remarks in l’Equipe:"Ce n’est pas une histoire d’argent, on défend le droit des joueurs"
 D-R Martens, ‘An innovative System for Resolving Disputes in Sport (only in Sport? 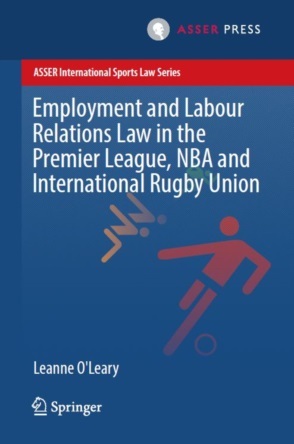 )’ (2011) 1-2 International Sports Law Journal 54, 60. Edward O’ Bannon et al v National Collegiate Athletics Association, Electronic Arts Inc and Collegiate Licensing Company ( US District Court, 08.08.2014) and NCAA Student-Athlete Name and Likeness Licensing Litigation, 724 F. 3d 1268 (9th Cir. 2013). The tribunal was established by FIBA in 2006 under the name “FIBA Arbitral Tribunal (FAT)”. In accordance with the 2010 FIBA General Statutes, the tribunal was renamed into “Basketball Arbitral Tribunal (BAT)”. Vladimir Golubovic v Basketball Club Union Olimpija Ljubljaba, BAT 0174/11, para 6. Pawel Kikoeski v KK Union Olimpija Ljubljana, BAT 0155/11, para 23. In the case where the image rights company is seated in a tax haven state, the tax benefits are almost double for the club. BAT 0155/11(n 6), para 51. See also, 0174/11(n 5) para 10: “The Club suggested the image contract because it served tax driven purposes only. That was the only purpose for such a contract, and it was irrelevant for the player, because his remuneration were settled in net amount (tax free)”. Richard Hendrix v Club Baloncesto Granada, FAT 0115/10, para 36. FAT 0115/10(n 10), para 44, Dalibor Bagaric v Fortitudo Pallacanestro SrL FAT 0105/10 para 49, Lazaros Papadopoulos v Fortitudo Palacanestro Societa’ Sportica Dilettantistica a R.L. FAT 0071/09 para 61, Darryl Eugene Strawberry and Bill Duffy International Inc v Fortitudo Palacanestro Societa’ Sportica Dilettantistica a R.L. FAT 0067/09, para 66. FAT 0115/10 (n 10), para 41.
reported in ASA Bulletin 2002, p. 482; 4C.40/2003 of 19 May 2003 at 4, reported in ASA Bulletin 2004, p.
344; see also decision 4P.230/2000 of 7 February 2001 reported in ASA Bulletin 2001, p. 523. FAT 0067/09 (n 11), para 83. FAT 0071/09 (n 11), para 76. FAT 0115/10 (n 10), para 64. BAT Arbitration Rules, Article 15.1: "Unless the parties have agreed otherwise the Arbitrator shall decide the dispute ex aequo et bono, applying general considerations of justice and fairness without reference to any particular national or international law ". In fact, according to Article 190 (2) PILA, only serious procedural defects or rulings on substance that are contrary to international public policy may constitute grounds to set aside an award. 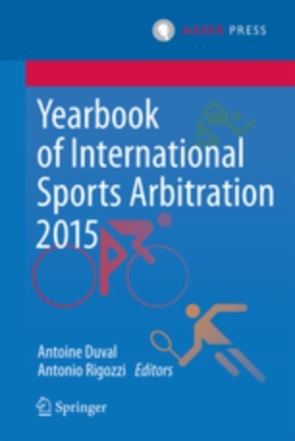 See A Rigozzi, ‘Challenging Awards of the Court of Arbitration for Sport’ (2010)1 Journal of International Dispute Settlement 217, 217-254.